We value the history of our two major programs of Senior Life Resources NW Inc., a not-for-profit organization established in 1974 and built on the proud shoulders of our past leadership, volunteers, contributors, and staff. This website endeavors to capture some of that history, as well as to serve as a contemporary means of communication with the community and with our staff members. The business of a modern not-for-profit is complex and full of challenges. It is essential that our community members are well informed and understand the organization that provides critical nutrition services and home care services that enable people to remain living in their homes for as long as possible. To preserve and enhance the quality of life at home, with dignity and care. 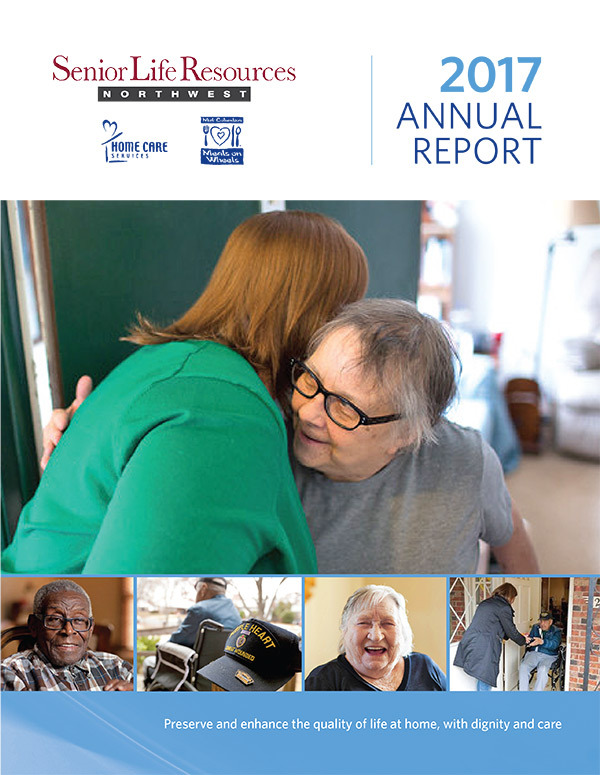 Senior Life Resources Northwest is a valuable resource for our communities, the citizens we serve in eight counties, and the many women and men who serve our communities through our Home Care Services and Meals on Wheels programs across southeast Washington. Senior Life Resources Northwest works closely with other not-for-profits and human service organizations, as well as other public and private organizations in order to provide the highest level of coordinated, effective, and efficient health and human services possible. We are an integral part of a strong, expansive community-based network in our region. As a visitor to our website, you will find information pertaining to Senior Life Resources NW Inc., our services, our major events, and our staff. You will notice that we are involved in many collaborative programs that extend beyond the two primary programs of Mid-Columbia Meals on Wheels and Home Care Services, as we utilize cooperative relationships to improve training, service capabilities, and financial efficiencies. We take the trust our community has in us very seriously. We continuously strive to make it possible for members of our community to remain living in their own homes, through the appropriate level of support to ensure their quality of life and a sense of safety. The women and men of Senior Life Resources NW Inc. are committed to providing the best possible nutrition and home care services to our clients in a responsible and professional manner.